At least eight people have died in ice-cold weather over the weekend in Poland, official say. The deaths bring the total number who have died due to the cold since November to 48. Temperatures sank to -20C in some places. The frosty conditions are set to continue, and authorities have called on citizens to help the elderly and homeless, who are particularly vulnerable in winter. Meanwhile in Moscow temperatures have dropped to this winter's low despite the approaching spring. The Meteorological Office said on Monday the mercury in the Russian capital dropped to nearly -20C on Sunday night, the coldest night this winter. Roman Vilfand, chief of the Russian Meteorological Office, told the Interfax news agency that Muscovites should brace themselves for frosty weather in early March and could only "count on the warmth of the soul," not higher temperatures outside. Moscow earlier this month saw what has been described as the strongest snowfall on record when more than a month's average of snow fell on the city, turning streets into snowdrifts. Snow and freezing temperatures have a grasp on some parts of Germany as meteorologists reported a record lows of -27C on the Zugspitze mountain in the Alps. The German Weather Service said overnight temperatures were also low in the south and east of the country, where they went down to -15C in parts. It was slightly warmer in the north-east, but traffic there came to a halt in some regions because of heavy snowfall. The German news agency dpa reported that in the northern city of Bremen, at least 10 flights were cancelled due to snow. Along the Baltic coast in the state of Mecklenburg-Vorpommern several cars crashed on icy streets, injuring at least four people. Index.hu reports that during the following days, it is going to be warmer even at the North Pole than in Hungary. The Hungarian Meteorological Service announced first-degree warning in several counties due to the extreme cold. According to the Hungarian Meteorological Service's Facebook post, the temperature was above zero Celsius at Svalbard (1000 kilometres north from the northeast point of Norway) on Saturday near the Arctic circle. On the same day, the temperature reached minus 10 Celsius in Northern Hungary. The reason for the brutally cold weather is that a particular atmospheric phenomenon will appear in the next few days. In Northeast Europe, a massive, high-pressure anticyclone will emerge that will change the airflow in most parts of the continent. Instead of the general westerly flow, the wind will blow from the East on the Southern border of the anticyclone. It will bring freezing wind to Hungary from Russia. On the other hand, the mild subtropical weather on the Eastwest will reach all the way to the North Pole from the anticyclone's western side. It will cause a big anomaly in the area. 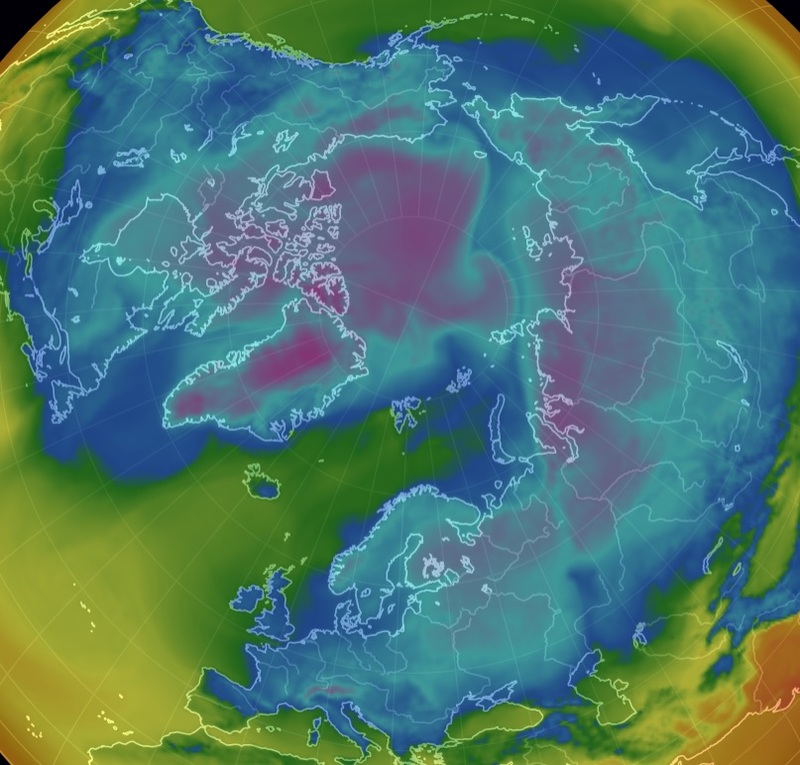 This phenomenon is the reason for the weather being warmer at the North Pole than in Hungary. Time we check with Weather Modification Inc. to find out what they've been up to.